Data quality, or lack thereof, impacts businesses in many ways. Poor data quality, for example, wastes time, paper, and money. Poor data quality can also mean shipping delays, canceled orders, and fraudulent orders. Examples of poor data quality include: typos in addresses such as “Lem” Street instead of “Elm” Street, bogus names such as Donald Duck, missing or incorrect ZIP codes, transposed phone numbers, and IP addresses that don’t align to contact info. What is the Data Trifecta? 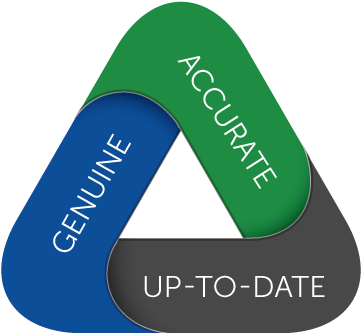 The Data Trifecta contains three equally important data quality components: genuine, accurate, and up-to-date data. Hitting the Data Trifecta is a worthy goal, and it’s easier to achieve than you may think. Learn more about the Data Trifecta and data validation by downloading our free whitepaper, Hitting the Data Trifecta, today.